The Amazing Story Of How One Man Cheated The McDonalds Monopoly Game Out Of More Than $20 Million. Board games are fun. No matter how old we get, or how much technology our daily lives become flooded with, board games are still communal activities that everyone can enjoy. When McDonald's hit upon the idea of using one of the most popular board games ever, Monopoly, to help sell fast food, it was an almost instant hit. The promotion has been around for thirty years, and is still one of the most successful marketing initiatives ever. Millions of people around the world participate in the Monopoly sweepstake's each year, and both the fast food giant, and Monopoly's parent company, Hasbro, benefit from the cross-promotion immensely. However, there is a brief period of time in McDonald's Monopoly sweepstakes' history, that McDonald's would very much prefer for everyone to forget. Those years would be from 1995 to 2001. A period when one man bilked McDonald's and McDonald's customers, out of a massive fortune in ill-gotten winnings. This is the incredible true story of how one man cheated at the biggest board game ever. McDonald's and Hasbro first joined forces in 1987. The marketing plan for McDonald's Monopoly followed the game quite closely. When it was first launched, every McDonald's customer received two tokens. When you combined properties, which were matched by colors, you won money. Over the years, the grand prize has most often been $1 million, but there was a $5 million prize offered in 2006, as well. The tokens that resulted in cash prizes, or large food giveaways, were fairly rare, but customers could still win smaller free food items by getting "instant win" tokens. McDonald's and Hasbro rolled out the promotion in the United States, Canada, Australia, Austria, France, Germany, Hong Kong, the Netherlands, New Zealand, Poland, Portugal, Romania, Russia, Singapore, South Africa, Spain, Switzerland, Taiwan, and the United Kingdom. Since then, there have been minor alterations to the game, and it has had a number of names, including the "Monopoly Best Chance Game", "Monopoly: Pick Your Prize! ", "Monopoly/Millionaire Game", and a special "Who Wants to Be a Millionaire" version. The game also has other names in other countries, including "Prize Vault". In 2013, Argentina and Brazil added the Monopoly game to their McDonald's marketing plan, as well. Other corporations have jumped on the bandwagon, too, including Best Buy, Toys R Us, and Foot Locker. Due to the fact that the promotion is a sweepstakes, McDonald's has to have a third party administer the game per U.S. law. For many years, McDonald's used a company called Simon Worldwide Inc. to oversee distribution of game pieces and winning piece redemption. However, putting their faith in Simon Worldwide Inc., proved to be a not so great decision. Winning major prizes in the world of McDonald's Monopoly is all about probability. Nearly everyone can collect almost all of the pieces to complete a winning set, but almost invariably they get tripped up by one last piece. This is because the deck is slightly rigged. Some pieces are printed less than others, so it is much harder to get them. For years, people had been scamming customers out of game pieces. Online game piece "traders" would offer money in exchange for particular pieces. Invariably, the customer would send off the piece… and never hear from the Monopoly trader again. Scams like these were quickly rooted out and dealt with. With all eyes and attention focused on catching these game piece scalpers, no one paid attention to the game fraud happening right in front of their faces everyday. 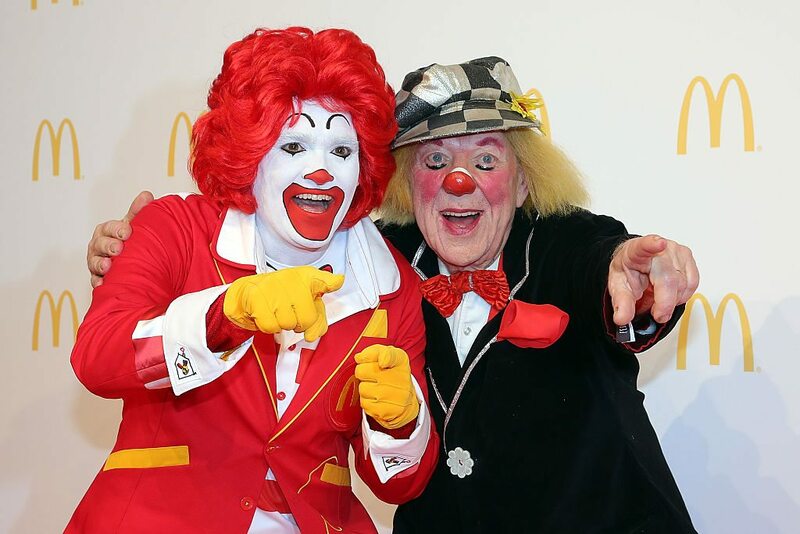 Jerome Jacobson, served as Head of Security at Simon Marketing Inc., the branch of Simon Worldwide that was in charge of overseeing the McDonald's Monopoly game, as well as handling all of their Happy Meal toy giveaways and other promotional prizes. When it came to the Monopoly game, there was a requirement that at least two people had to work together with regards to overseeing how all sweepstakes pieces were printed and distributed. For some reason, beginning in the mid-90s, Jacobson worked alone. He was the only person overseeing distribution of the game pieces. A retired policeman from Lawrenceville, Georgia, Jacobson was already working for Simon Worldwide when the Monopoly promotion began, and he knew just how the game worked. He used this knowledge to his advantage. In 1989, he stole a game piece that was worth $25,000. He gave it to his stepbrother. This first theft launched a cottage industry that would net Mr. Jacobson, and those close to him, an amazing amount of money. At the airport, Jerome would take the sealed envelopes of game pieces into bathroom. While colleagues thought he was using the facilities, Jerome was actually flipping through the packets of winning game pieces and stealing the most valuable ones. Upon returning from the trip, he would then sell the pieces through a network of trusted friends and family. He was known as "Uncle Jerry" to those people who received pieces through his distributors. The majority of the pieces were sold to an ever-widening network of people who wanted to get rich quick. "Uncle Jerry" also apparently had a (guilty) conscience, because some of the big ticket pieces ended up in very unexpected places. For example, in 1995, he anonymously mailed a game piece worth $1 million to St. Jude's Children's Hospital. Over the next 6 six years, until 2001, Jerome Jacobson stole and sold game pieces worth $24 million. He made sure that the majority of the winning pieces ended up with people who were recruited through family and friends. In fact, he did this for every sweepstakes or promotion that Simon Worldwide oversaw for McDonald's. However, as with all crime rings, someone finally gave the scheme away. An associate recruited to win a 1996 Dodge Viper, alerted the FBI as to what was going on. The FBI launched "Operation Final Answer", a sting operation that involved a great deal of wire tapping and pouring over phone records. McDonald's agreed to keep running the promotion while the FBI attempted to track the trail of winnings back to the top. Eventually, the trail led straight back to Jerome Jacobson. By the time the dust cleared, 51 people had been indicted, though their sentences weren't particularly stiff. Most had to pay fines and participate in community service. Jerome Jacobson was sentenced to three years in prison. He was released in October of 2005. He also had to pay back the money he'd earned stealing pieces. McDonald's realized the mess could blow up in their faces unless they handled it right away. They publicly fired Simon Worldwide and Simon Marketing, Inc. Their contract with Simon Worldwide was worth $500 million. 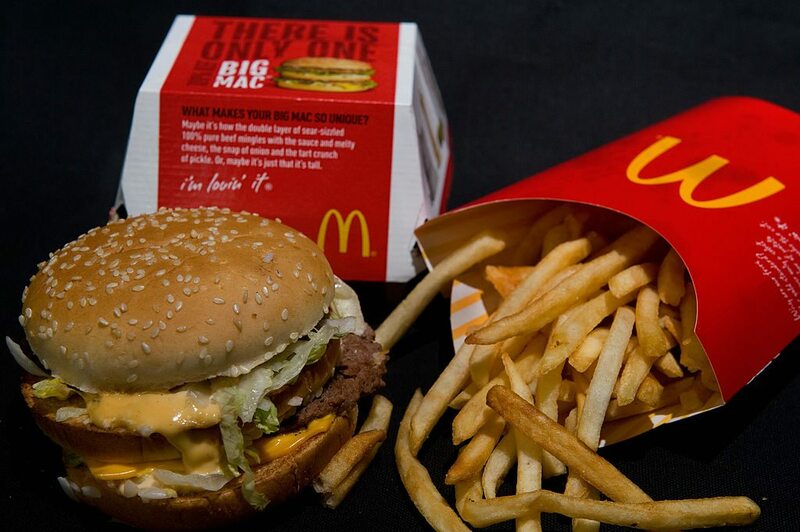 Every year, McDonalds represented 61% of Simon Worldwide's revenues. They took their money and their business to another company. They also announced a new promotion with its own cash giveaway. The game featured 55 cash prizes worth a total of $10 million. Finally, they made the donation to St. Jude's Children's Hospital, rather than canceling it. All of the damage control was to reduce the chance that someone might sue them for having promoted a rigged game for so many years. Their worry proved to be unnecessary. Not only did no one bat an eye – most people actually had no idea that anything bad had happened. So… the promotion goes on, and McDonald's Monopoly is still one of the most successful marketing initiatives ever. It just goes to show that hope springs eternal… and that lots of people are willing to buy a Big Mac in an attempt to become a millionaire.